"I want to invite my accountant into Collage and only let them access certain reports." "I want my executives to see compensation data for their direct and indirect reports." "I have a recruiter who should only be able to administrate ATS." 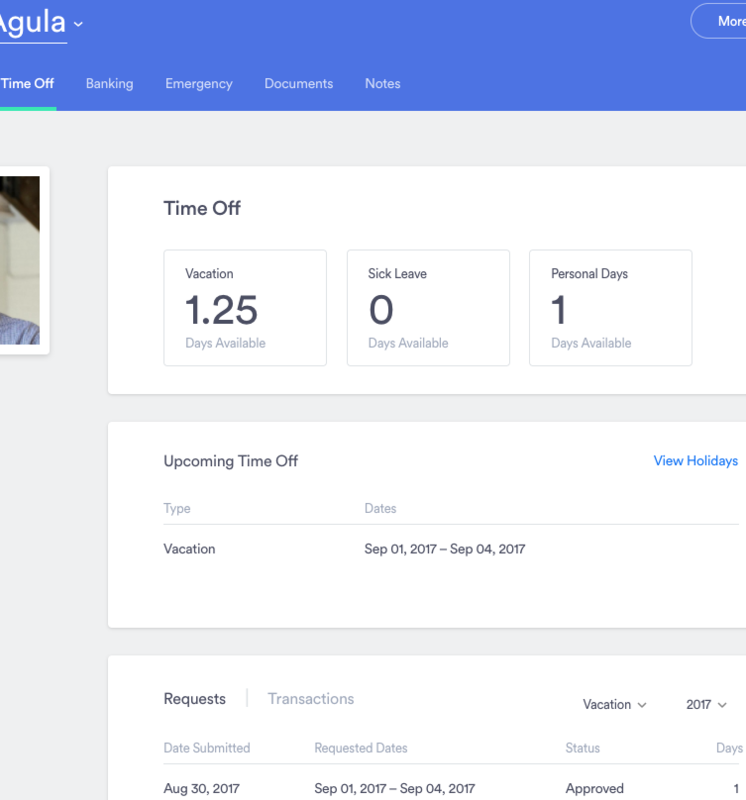 Everything about an employee's time off is now available on their profile. Employees can easily check their balances, view company holidays, and request time off. Managers can see upcoming time off, record time off on the employee's behalf, and check balances. These actions depend on each manager's roles and permissions. Admins can easily dig into transaction details to answer questions about a particular time off balance. So you can more easily get to the time off details of an employee, you can now click their name from the Time Off Summary and it will take you to their time off details on their profile. 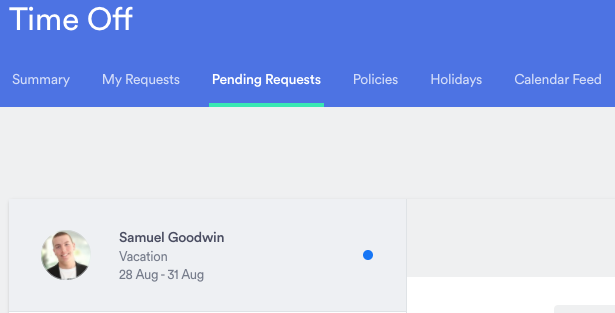 The "Manage Requests" and "Company Requests" tabs under time off have been replaced with a single tab called "Pending Requests". The new tab lists all the requests you have permission to approve/reject. To see the time off history for a specific employee, go to their profile and click on the new "Time Off" tab. 2018 statutory holidays for all Canadian provinces are now available as you setup your company holidays for next year. Get started with 2018 holidays here. 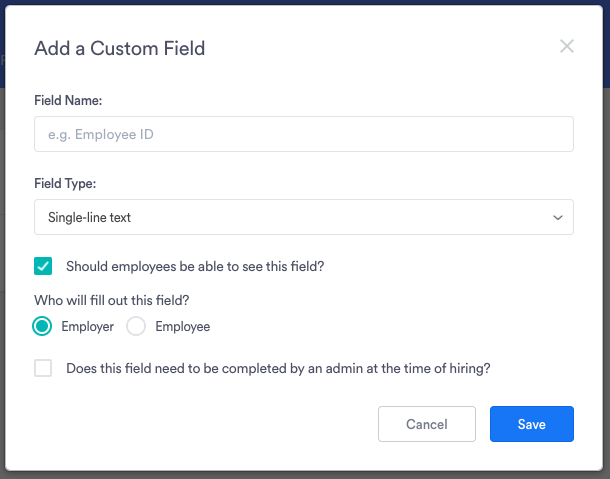 When setting up a custom field you can now specify whether the person setting up the new hire or the new employee should fill out the field. 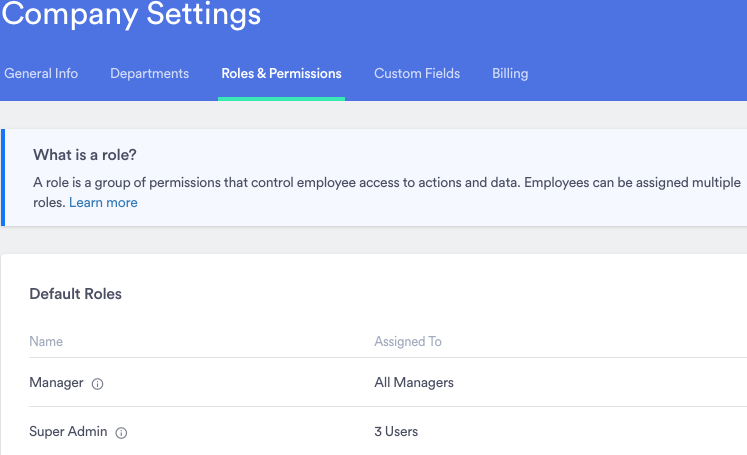 You can also choose whether its mandatory vs. optional.